I read a lot of horror last year as part of indulging in what I like and enjoy, and Dead Souls was a really unique part of that. The book, I think, is technically horror and certainly has supernatural elements, but it isn't actually terrifying. I really enjoyed it a lot. For some reason, the idea of making a deal with the devil has always been a storyline I find interesting, partly because of the extreme desperation someone would have to be feeling in order to strike up such an arrangement knowing the cost is steep. And Dead Souls is a whole book about that basically in a modern era. With a twist that the deal is often done without knowledge. So...be careful what you wish for! Fiona meets a stranger in a bar at a low point and expresses a desire for a trait only someone like the devil could give her. When she realizes she's traded her soul (a favor) for this trait, she uses it but also regrets that she could not have made a bigger deal. And she finds herself sucked into a support group of others who have traded their souls and are on the hunt for an answer. The story is just unique and interesting as we follow Fiona's quest to undo her deed. Challenges are everywhere, though, and Fiona can't always be sure who to trust when someone could be called in for their favor at any moment. In the middle of all of this, we question if one can still retain a sense of self and soul after dealing it to the devil. 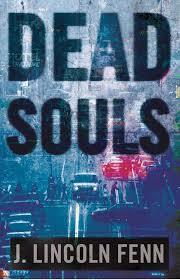 Fast paced and well written, Dead Souls was a fun read for my fall season!